These tiny slugs occur most often on the yellow sponge Luffariella metachromia, common in Hawaii under overhangs and in caves. In years of abundance they sometimes mass on their prey like locusts. 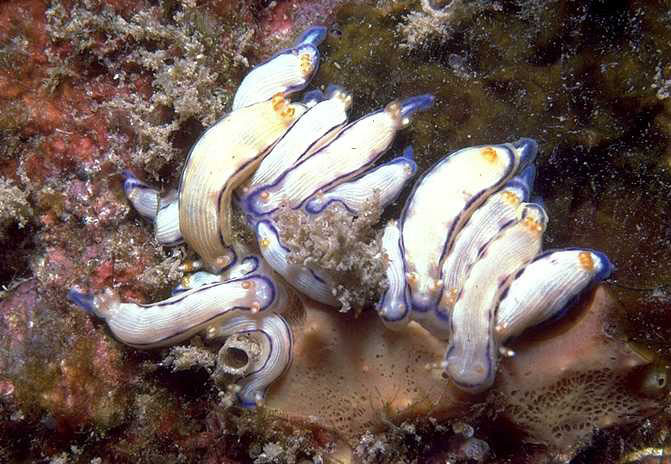 Their bodies are creamy white rimmed with blue or purple and striped lengthwise with exceedingly fine white lines. Although typically occurring under overhangs along exposed rocky shores at depths of 15 to at least 60 ft., the slugs have also been found in protected harbors and boat channels as shallow as 6 ft. The species was named for Roland Anderson of the Seattle Aquarium, who bid highest for the honor at a fund-raising auction for the Western Society of Malacologists. 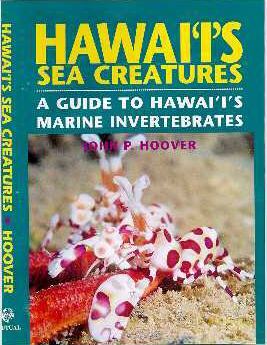 It attains 1/2 in., but is usually smaller, and is known only from the Hawaiian Islands. This famous photo by Scott Johnson first appeared in his and Hans Bertsch's pioneering book Hawaiian nudibranchs . It was taken at Makua, O`ahu at a depth of 15 ft. Sights like this are rare. In recent years these nudibranchs have been quite hard to find.